If you’re wondering if Square is serious about making a sale with the next (and hopefully last?) instalment of Final Fantasy XIII, then this should make things clear. Lightning Returns: Final Fantasy XIII will get a special four-disc soundtrack in Japan: November 21, 2013 for 3,800 Yen ($38) and is already available for pre-order via CD Japan. As always, the first-press editions get a code for a special (and as of yet unannounced) DLC. 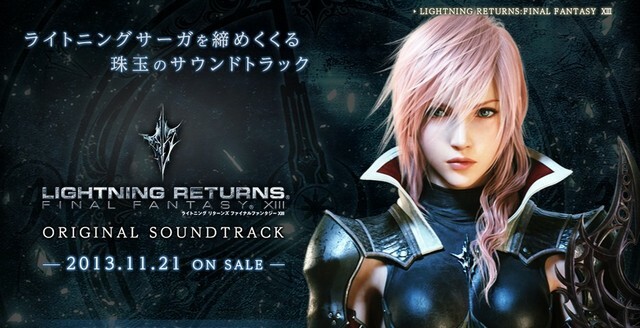 Samples for “The Savior,” “Crimson Blitz,” and “Lightning Returns,” are available for streaming via the soundtrack’s official website.